Blog - How can LED Floodlights contribute in Society’s Security? LED flood lights with their exceptional ability to provide bright light even in the remote areas have already been used for utmost safety and security. The new age LED flood lights are so versatile and functional that they can be installed in just about any location without even resorting to any traditional mode of power distribution. Here are six reasons to implement flood lights LED street lights for security. LED street lights come with a wide beam angle. Thus, it can light up an extended area without much hassle. These lights can operate night long without much energy usage. Quite obviously, power consumption is pretty less when LED flood lights are used on streets instead of traditional halogens or CFLs. Also, the lights are so bright that you do not even miss out any insignificant stuff on the road. It helps in preventing unforeseen accidents especially in the highways. A great way to increase security of the pedestrian areas is to remove the potential hiding places by lighting up the entire area. LED street lights make it quite possible by lighting up an extended area of the pedestrian’s route. Flood lights can illuminate a wide area including nooks and corners that might be the hiding spot of the criminals. It provides added safety and security to pedestrians in any area whether it is walking in a park, alleyway or going to the parking lot. The bright illumination of LED Street light feels almost like daylight. 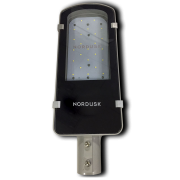 It offers better visibility and allows facial recognition better than any other traditional lighting fixtures can do. Such a bright illumination is definitely helpful as they help people recognize what is in their surroundings, thus making you alert as required. A bright illumination in the streets plays a significant role in deterring crime. As you know, criminal activities thrive significantly in the dark alleyways, but with a well-lit arena criminal activities are bound to decrease. In a well-lit area, criminals have the high chances of getting easily caught. No wonder, crime will deter when the city will be well lit. With commercial LED lighting in the streets, the security of the streets is also increased. In a well lit area, people have a sense of safety and security. For the drivers as well as pedestrians LED Street lights offer better visibility and makes travelling safe. Whether for residential or commercial use, LED lights offer a plethora of benefits. For increasing road safety, LED lights are being effectively used nowadays.